I'm no fan of these new-fangled Xenon and Bi-Xenon lights. Why do we need them in a country where the maximum speed limit is 70 mph? It's not as if we have to avoid elephant traps and bomb craters on unlit roads. Add in the fact that automatic headlight dipping systems don't do a very effective job with glarey lights and you have the ideal recipe for infuriating other motorists. That's why the Mercedes-Benz 'Intelligent Lighting System' is so good - it works, but it's awfy expensive. 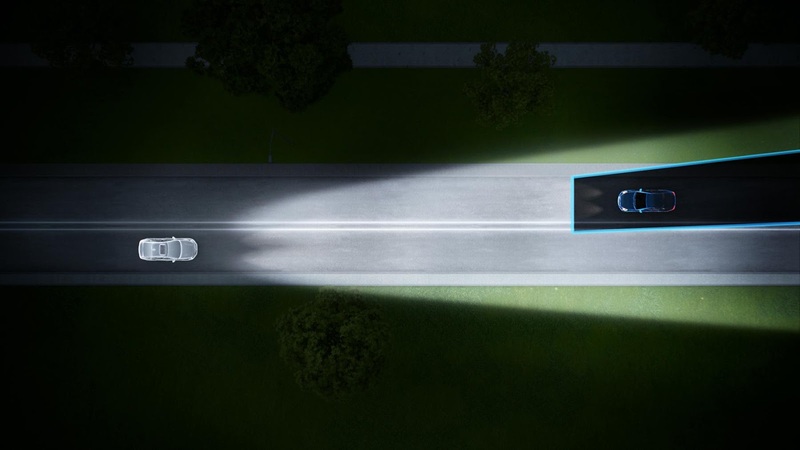 Now Volvo have joined the 'consider other motorists' club with their own version of headlamp beam control with a system that doesn't dip. It's constantly on high beam! Don't panic, this is Volvo. What happens with their system is that a little blind masks the light when catching cars in front or meeting oncoming traffic. The 'blind' stops the dazzle but the area around it remains lit up with main beam. When an oncoming car approaches or when catching up with another car from behind, the system helps to prevent dazzling the other driver by shading out only as much of the beam as necessary. 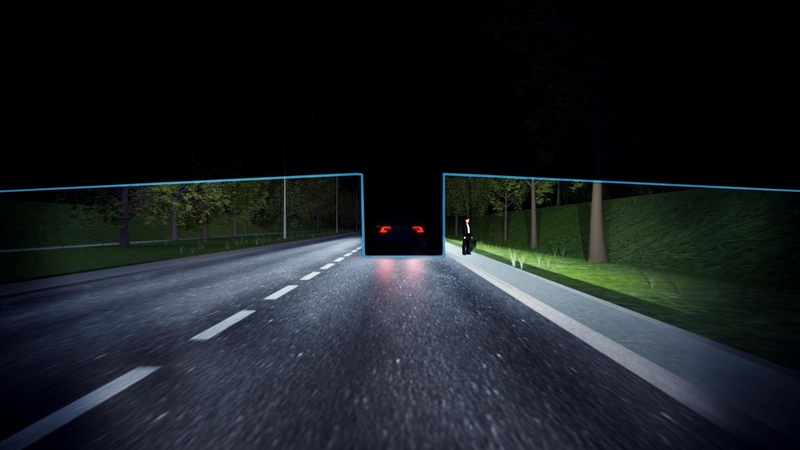 This 'Active High Beam Control' uses a camera beside the rear-view mirror on the windscreen to identify other vehicles and the area that needs to be shaded. The technology is accurate enough to frame the chosen object with only a 1.5° margin. A projector module controls a tiny cylinder with metal pieces of different sizes which shade just as much of the beam as necessary. The technology is active at speeds down to 9 mph and will be available initially in the Volvo S60, V60 and XC60 from spring this year. Fingers crossed, otherwise we'll all need to start wearing sunglasses at night!